Size (Inch): 8"x10" 12"x18 " 12"x24"
Start dealing in Gulf and Africa. 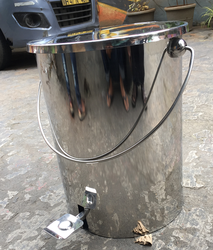 We introduce our business as a notable entity of a qualitative array of Stainless Steel Dustbin. Under the expert supervision of our well trained and professional experts, we are capable of providing our customers with a wide array of Dustbin Basket that is widely used in offices, homes, restaurants, schools, institutions etc. The offered range is manufactured using optimum grade raw material and advance technology. 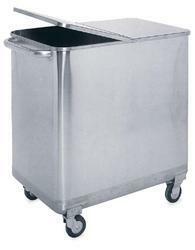 We are manufacture SS dust bins padle type, extensively used in various places like hospitals, hotels and offices. Available in paddle type, our bins are available in various capacities such as 10, 15, and 20 ltrs as per the requirement of clients. Made from finest quality SS 304. We offer Dust Bin to our clients. SS Dustbin perforated, Plain, Peddle, Ash Can, Swing e.t.c. We are a unique name in the industry to provide our prestigious clients an exclusive range of SS Dustbin.